The micro:bit is a remarkable device capable of taking on a variety of roles. Until now it has been the preserve of school children, with one million given away free, via secondary schools. But if you've placed a pre-order for one it should be with you within the new few days. What will YOU DO with it? We first heard about the BBC's initiative to inspire school children in programming and digital technology in March 2015 and had pretty complete details of its spec and capabilities last July when it was announced that after the giveaway to Year 7 students (aged 11-12) it would go on sale. The anticipated timetable was to have first micro:bits shipping to schools in October 2015 - soon after the start of the school year, but due to repeated delays this slipped to April 2016, which dented the original impetus. Last July we reported BBC was "planning to set up a non-profit to sell the devices in the UK and worldwide" but currently sales are being handled by third party distributors and are limited to the UK in the first instance. So everything you need apart from a piece of fruit! As its name suggests, Technology Will Save Us sets out to motivate today's generation of kids, with the help of their parents, to master the technology needed to be creative and inventive for the future and its involvement with the micro:bit projects fosters that aim. The micro:bit is also an ideal vehicle for IoT, due to the fact that it is essentially an mbed device, and this aspect is being actively pursued by Harry Fairhead, Editor of I Programmer's new sibling website, IoT Programmer. Harry has even managed to overcome the obstacle of it not having WiFi and in the latest chapter of his book, Micro:bit IoT in C, shows how to add WiFi capability and upload sensor data to the cloud. He has already programmed ibuttons using the micro:bit, making it the heart of a home security device. For this he is using the mirco:bit's open source operating system and C.
Which goes well beyond the "learn to code" aspect of the device promoted on the BBC micro:bit website. The question is will any budding young genius master C and demonstrate things that we never thought possible. It is one way to get ahead of the teachers! For those who want to develop their coding skills with the micro:bit see the series of articles in which Mike James put it through its paces in each of the four programming environments that the same simple game, Commando Jump, which features a countdown timer and graphics displayed on the micro:bits 5 x 5 LED display. 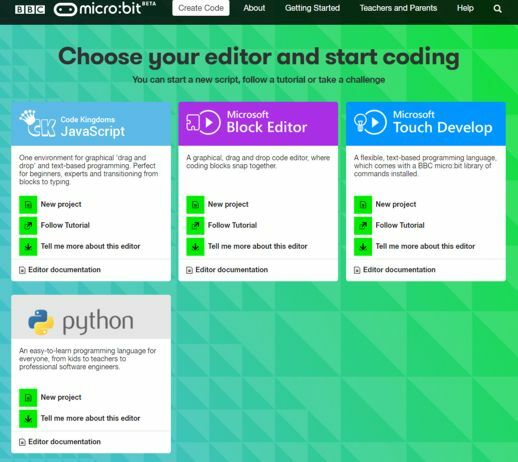 As a result of this experience we were able to do a compare and contrast exercise reporting the results in The BBC Micro:bit Which Language? summarizing the limitations of each of the choices. The micro:bit is just too good not to have a wider audience and like a lot of kit designed with kids in mind is just as good fun for adults.Yes you can use it to learn to code and explore computational thinking, but if you can already code you can use it to get into the world of IoT, embedded devices and electronics. You can get a long way without a soldering iron with the micro:bit but combine it with some real world sensor and WiFi and you open up a world of possibilities. So now you can buy one, or you can buy one as part of a kit, what are you waiting for? One thing might be a gown-up community. Schools have a forum on the BBC Micro:bit site but the BBC has been very "defensive" in not letting outsiders in - even in a fenced off area. Now there's a proposal on StackExchange for a micro:bit Q&A site for developers and teachers but it needs more supporters. Go to Area 51 to help ensure this site is created. 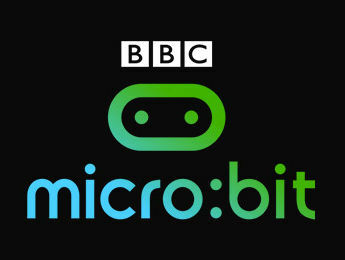 BBC micro:bit Your Next Computer? The BBC Micro:bit Which Language? F# 4.6 has been released with the addition of support for anonymous records. The new version of F# will be included in Visual Studio 2019 when it ships.